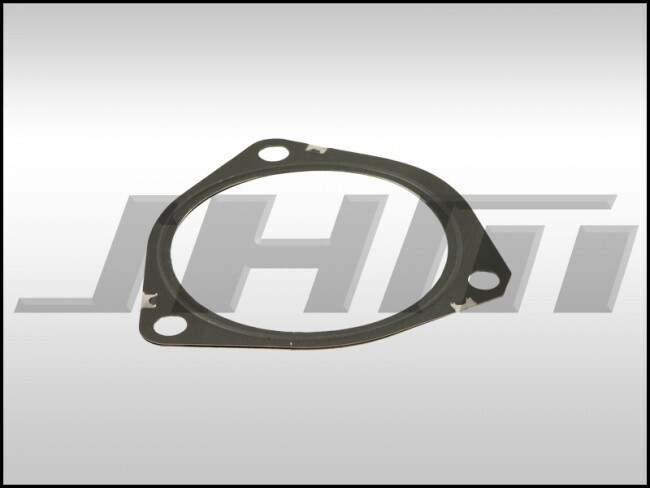 This a brand new, high-quality replacement exhaust manifold to downpipe gasket for your B6-A4 3.0L V6 or your C5-A6 with the 3.0L V6. This gasket is made by Elring, a major replacement gasket supplier for Audi, Volkswagen, and many other brand. We recommend replacing these gaskets every time you remove the downpipes from the exhaust manifolds to ensure the best seal possible. The OEM part number for this piece is: 8E0253115C or 8E0 253 115 C.